Ah, the pre-millennial arcade scene. Where the games were addictive, the cabinets attractive and the prices affordable enough that you didn’t care how much you spent. As a child whose yearly holidays consisted of camping in Wales, arcades were my safe haven away from the usual monotony of campsite swingball and swimming in a deceptively cold ocean. I absolutely adored arcades. In fact, I would daresay they were my favourite place to be when I was a kid. The flashing lights, the familiar tunes and jingles, and the heavy stench of cigarette smoke penetrating your lungs. Well, scratch that last part. Needless to say, arcades (or amusements as they’re more commonly known in England) felt like a home away from home, even if it were just for an hour or so at a time. But then something changed. 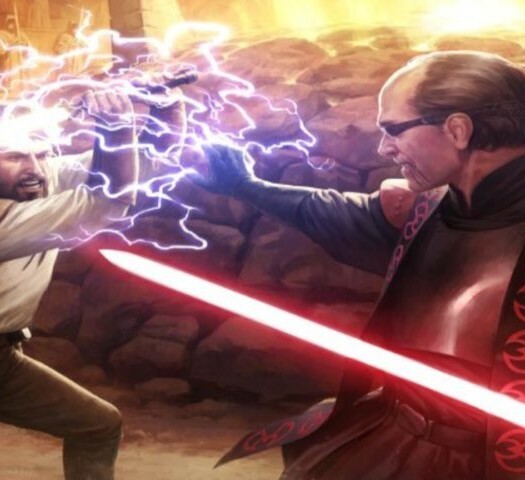 A dark force corrupted arcades across the land. It was called The House of the Dead, and like a ghastly Eldritch abomination, it simultaneously fascinated and terrified my puny 5 year old mind. To say The House of the Dead had a commanding presence in the arcades is something of an understatement. While somewhat cheesy by today’s standards, the chilling intro and gory attract mode, that showed the player shooting a zombie into tiny undead chunks, was a true test of courage for children and adults alike. Hearing Dr. Curien yell “You shall all die!” before laughing maniacally was honestly pretty damn creepy. For Christ’s sake put some clothes on! As I wasn’t aware of games like Mortal Kombat when I was this young, The House of the Dead was pretty much my first exposure to video game violence. As such I always thought it looked a bit out of place next to the likes of Street Fighter II and Daytona USA. It wasn’t until I was a bit older that I learned to appreciate the game and eventually considered it as a timeless arcade classic. As for the story, you’ve heard it a million times before. Government agents receive a distress call about experiments gone awry at a secluded mansion laboratory, in this case the Curien Mansion. Driven mad with power, the scientist Dr. Curien plots to unleash his hideous creatures upon the world, so it’s up to agents Thomas Rogan and the enigmatic “G” to stop him. Simple and predictable, but it’s all The House of the Dead ever needed to provide the setting for a fantastic lightgun shooter. The House of the Dead is basically Time Crisis without the time limit (and replaces terrorists with zombies and monsters of course). You’ll be automatically guided through the Curien Mansion on a predetermined path, blasting zombies into pieces along the way and trying to save as many innocent scientists as you can. Rescuing said scientists can reward you with points and health, the latter being incredibly important given how tough this game is to beat. Certain scientists will also divert your path upon saving them, adding to the game’s replayability. The bosses were memorable, awesome, and also coin-gobbling arseholes. 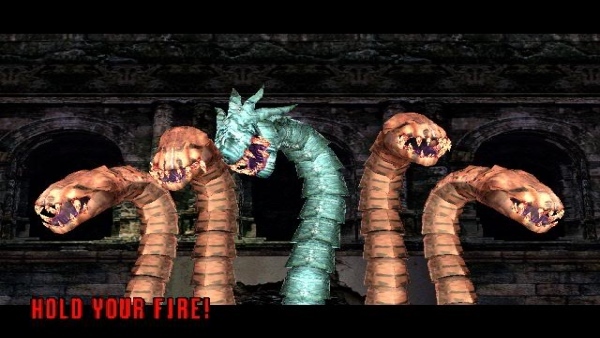 One thing I fondly remember about The House of the Dead was the voice that would shout “Reload!” every time you emptied your clip. You had unlimited ammo, but only six bullets in your clip. As such, it was very common to hear the “Reload!” sample overlap itself several times, often drowning out the background music and sound effects of the game. Pointing the gun away from the screen and firing would reload your gun, reliably keeping you in the action but rather considerably increasing your risk of suffering from repetitive strain injury. The House of the Dead is as much a game of physical endurance as it is about blasting zombies and saving scientists. So, is The House of the Dead still worth playing today? Well, the game has been ported and remastered a good number of times, most of which hold up reasonably well (though the original Sega Saturn port was never one to boast). But even if you have a corresponding light gun peripheral, nothing quite beats teaming up with a friend for the arcade cabinet’s unique experience. Hell, it’s even worth paying for two people just so you can dual wield the cabinet’s awesome-looking handcannons. 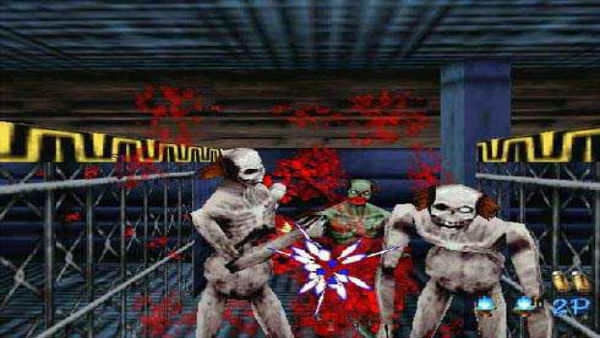 It may look ancient by today’s standards and you can certainly argue that the game’s sequels (as well as the more recent grindhouse themed Overkill prequel) are more enjoyable, but The House of the Dead remains an important piece of arcade history, thanks to its shocking gore and supremely commanding presence. Well, through the eyes of a small child at least.